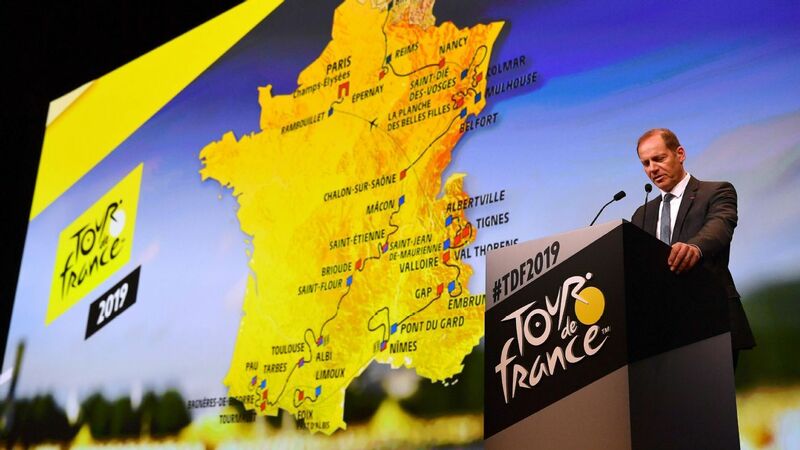 Chris Froome's bid to equal Eddy Merckx's five Tour de France titles will begin in Brussels next year after organisers announced the route for the three-week race Thursday. Froome was denied a fifth title last year by Sky teammate and fellow Briton Geraint Thomas and both men were in attendance along with the 73-year-old Merckx for the route presentation at Paris' Palais des Congres. It will be the fifth Grand Depart in Belgium and the second in Brussels. Tour de France general director Christian Prudhomme said it was a fitting way to mark the feats of Merckx. "When we heard of Brussels' application for the Tour de France, the idea of Grand Depart soon sprung to mind," he said. "Brussels, the capital of Belgium, the European capital and Eddy Merxck's city. We had to start from city where this man was born. He was the yellow jersey's greatest symbol... It was obvious." The peloton will tackle cobbles on the Mur de Grammont in the opening loop stage on Saturday July 6, a 192km-ride starting and ending in Belgium's capital after visiting Charleroi. A 27km team time trial takes place in the city the next day. Riders then head south and into the Pyrenees where a 27km individual time trial will take place in Pau on July 19, the exact day of the 100-year anniversary of the yellow jersey. The final rest day will be in Nimes three days later before three Alpine stages which includes the Col d'Iseran, the highest paved road in Europe at 2,770m.